It’s ReadySetAuction’s first release since its purchase by SofterWare, Inc. and big things are happening. Our team has been working hard to bring you improvements and features you told us were the most important. Running your auction event will be easier than ever with the new expanded eCatalog window, unlimited eBidders and automated text messaging in Release 3.5 of ReadySetAuction. Your eCatalog window is now open for a full 90 days. It includes 45 days leading up to your event and 45 days after. This allows bidders to browse your auction items for over six weeks leading up to your auction and encourages event sponsors and donors to give early. It also helps increase auction proceeds as competition for your items heats up and allows benefactors to share news of their generosity before your auction opens. The eCatalog window expansion was your #1 UserVoice request, so keep those suggestions coming! The sky’s the limit for eBidders! Unlimited eBidders is now included. 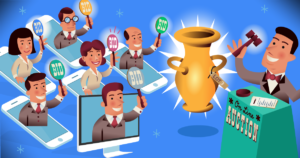 Give your guests the convenience they demand for online and mobile bidding. Take advantage of our streamlined pricing structure to upgrade today. Use automatic text alerts to create a fun, competitive atmosphere with spirited bidding throughout your event. 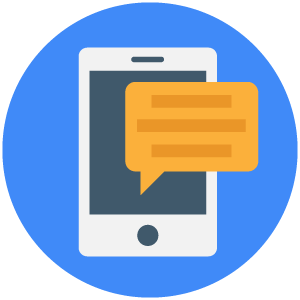 Through instant text and email notifications, mobile bidding allows your guests to know the exact moment they are outbid, creating excitement that boosts bids and increases engagement, and text messaging is automatically activated when Mobile/Online is available. Ready to organize and track all your donor records in one place? A donor management system like DonorPerfect can help you extend your reach and expand your fundraising activities, and you can easily import data into your DonorPerfect system after your event so there’s no duplicate data entry. Learn how you can integrate your auction with DonorPerfect without extra data entry. See how other nonprofits are using ReadySetAuction with DonorPerfect to raise more money. Read about all the latest changes to in version 3.5 of ReadySetAuction in the Release Notes.